it was my first long train ride on my own (long because the previous week I had been on a shorted ride to go shopping hihi), but the transportation system is so efficient that I found my way from Babenhausen to Freiburg without any glitch. It was a little after lunch when I arrived. 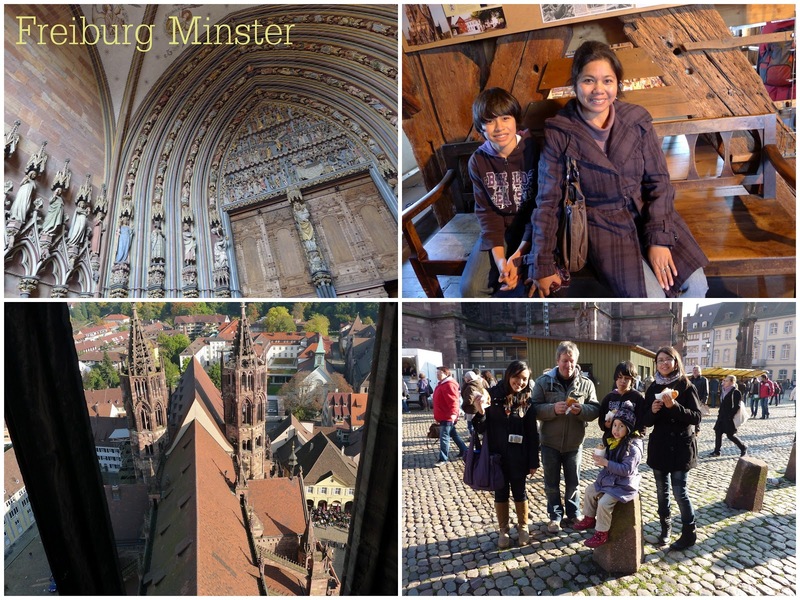 The itinerary for the afternoon was to go around Freiburg. First stop - the Japanese Garden. Next, the Freiburg Cathedral, also known as the Minster. 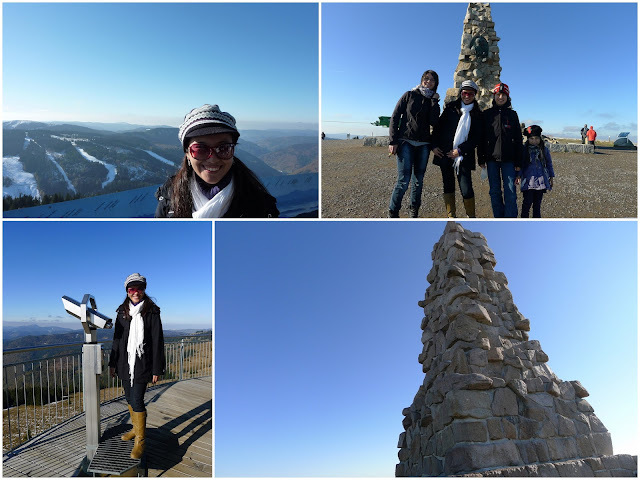 We climbed all 250 (or so) steps through the steep staircase to get to the top where an awesome view of Freiburg awaits. 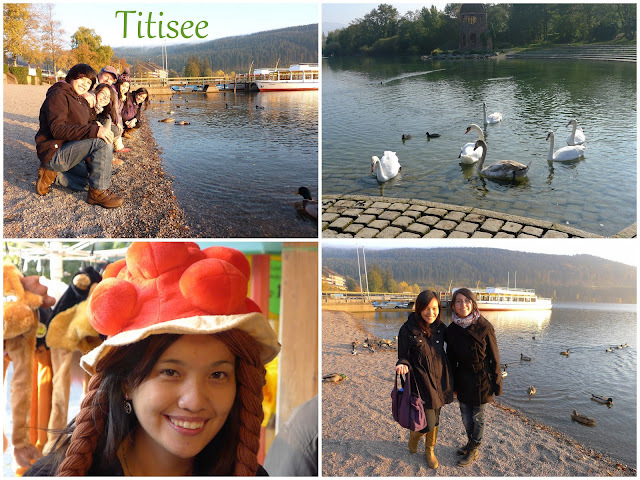 Titisee Lake came next. Black Forest is famous for (drumroll!) - well, the Black Forest cake. 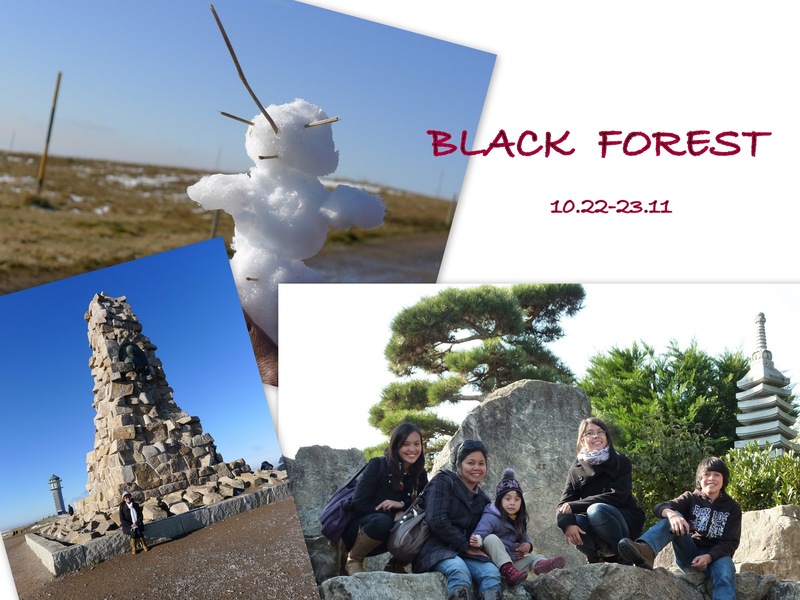 We did not find one, so I settled for Black Forest ice cream instead. Remember the red cherry chunks over the black forest cake? Well, they have hats which looks like it, which makes one look like a walking black forest cake. I got to try on one for fun, too. 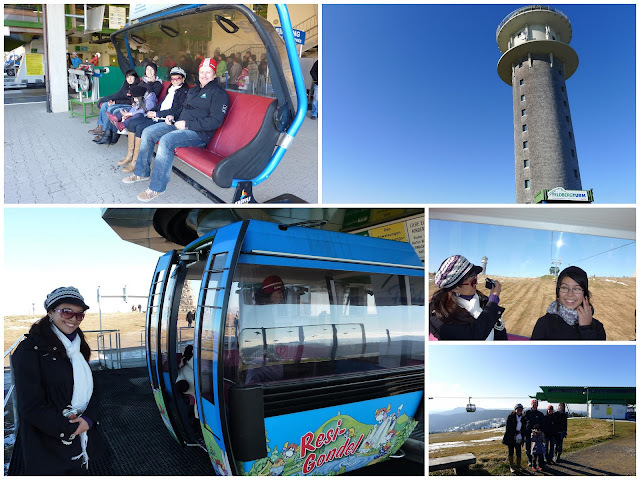 Second day was all about Feldberg. The aunt's family took me to this science place where they have a 3D show of Feldberg's history and other stuff. 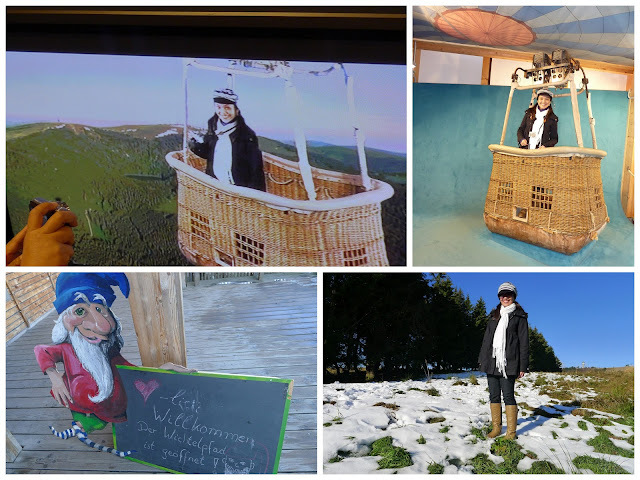 My favorite was standing on the hot-air balloon and seeing myself on TV floating up above the air! This of course, was digitally done, but reminded me how I have this thing for a hot-air balloon ride in my bucket list which I haven't crossed out yet. A cable car ride to a hill with a picturesque view. A watch-tower which can see the surrounding mountains, all within 360 degrees! The only mountain I recognized was Jungfrau (Swiss alps) because we had been there a couple of months ago. It was breath-takingly beautiful, admiring God's wonderful creation. Looking at the mountains and thinking - hey this looks like a Windows wallpaper! The place was a ski-resort come wintertime. I somehow envy my cousins who get to ride the slopes and drive snowmobiles during that season. I have seen photos of how thick snow can be during winter there (and I have been told the tourists that come there to ski come in droves too.) and could only imagine how cold it must've been at that time. But skiing - I wanna try so much! 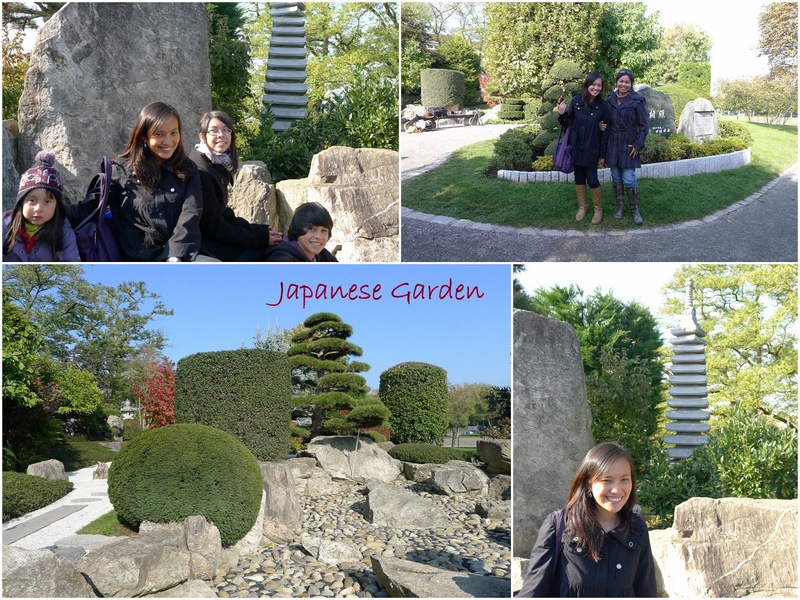 (another bucket list entry!) Aunt says I can come back with J and the fam anytime, preferably on a winter and we can ski as we wish. That, I'll definitely do.